President James Abram Garfield was our 20th President and the second President to be assassinated after only 200 days in office. In his short term he presided over a resurgence in Presidential authority, energied US naval power and purged corruption from the Post Office. 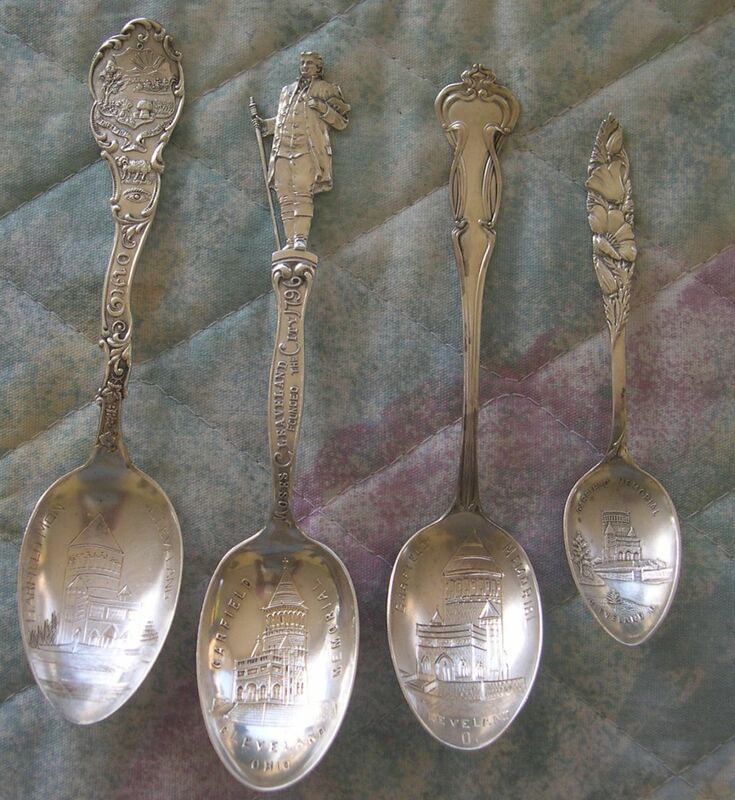 Garfield was not a particularly popular President at the point in history when these spoons were made. 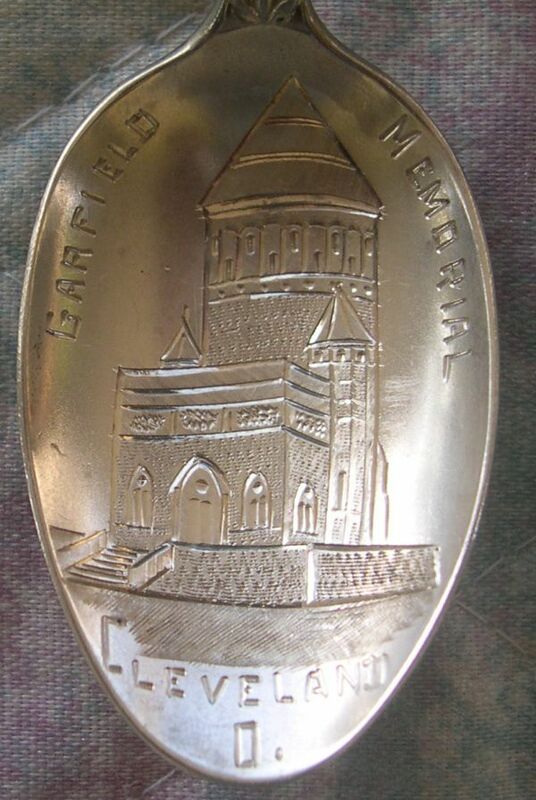 1. wavy handled Shepard Ohio state handle with an engraved picture of the Garfield memorial in Cleveland.